Mailigen Review – Mailigen Email Marketing Software Review. 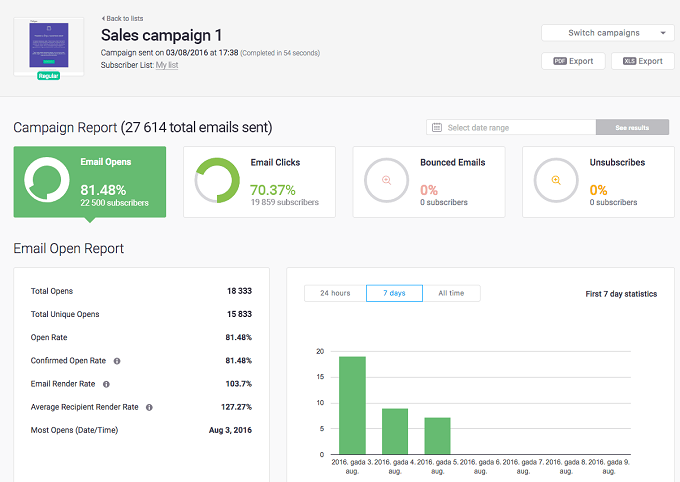 Mailigen is a complete email marketing automation platform that can be used to design, send, manage, and analyze effective email marketing campaigns. Mailigen is a professional SaaS platform offering a complete set of email marketing and automation solutions for small to medium­sized businesses and organizations. With offices in 5 countries, customers in 120 countries and 3 billion emails sent every year, Mailigen is one of the market leaders bringing global knowledge to local markets. Compilation of Email, SMS, and Surveys in one package makes Mailigen stand out among other email marketing providers. When working with Mailigen, customers can expect to get a full email marketing strategy and a dedicated success mentor to help along all the stages of it. A great strength of Mailigen lies in its progressive email automation tool that helps to send relevant, timely and personal emails, triggered by real­time customer actions. By creating highly targeted Welcome, Upselling or Re­Engagement series, customers can reach their business goals in a faster and much more cost­effective way. Mailigen offers numerous third­party integrations for users to connect their email marketing software to other applications and expand their business reach. Integration partners include the most recognized e­commerce platforms Magento and Shopify, as well as key players in CRM, CMS and Social industries. Use coupon code MAILIGEN15OFF and start your email campaigns today. Mailigen lets users create professional email campaigns in five simple steps. The intuitive UI is easy to work with ­ for both beginners and experienced marketers who are looking for more complex solutions. Segmentation and list management features ensure that marketing campaigns are easy to manage and target to the right audience. The system also offers segmentation by geo­location. 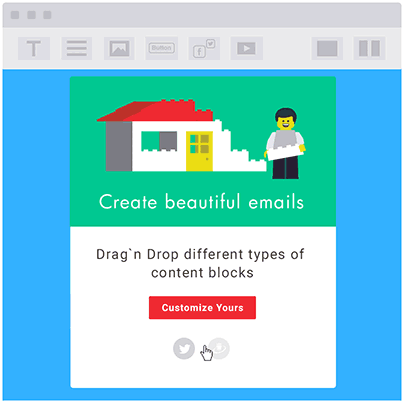 The intuitive Drag’n’Drop editor requires no coding knowledge and makes email building as simple as playing with LEGO blocks. 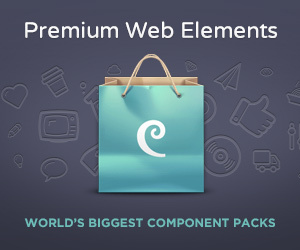 Also, customers can choose from more than 80 pre­designed email templates that are perfectly optimized for all major email browsers. Subject line advisor instantly shows how the proposed subject line will perform and suggests tips to improve open and click rates. An intuitive automation workflow builder is perfect for creating simple to very sophisticated email series by adding, editing and deleting conditions. Detailed Real­Time Analytics show the Open rate, CTR as well as more advanced metrics, like reports by geo­location. Comprehensive stats make it easy for every marketer to measure the ROI and improve results. Delivery quality protection ­ authorized address lists (whitelists). Delivery Support for all customers ­ consultation on how to improve delivery rate and avoid falling into the SPAM folder. Delivery and Deliverability Audit ­ upon request, Mailigen deliverability experts can provide a detailed deliverability account and suggestions for improving inbox placement. Furthermore, Mailigen’s pre­designed email templates are tested on all major email browsers ensuring that customers’ campaigns look well on all desktop and mobile devices. Unsubscribed emails are automatically deleted from customers’ database. Mailigen brings benefits to businesses from various industries, including retail and e­commerce, business & services, manufacturing, education, sales and consulting, etc. Some marinaindustry leaders that entrust their email marketing to Mailigen ­ BOSCH, Lexus, Honda, Oriflame, Tele 2, SEB. Email marketing automation is a powerful tool for sending hyper relevant messages during crucial moments of customer lifecycle. Highly targeted messages help to convert leads into customers, upsell existing clients and re­engage inactive subscribers. Therefore Mailigen customers experience an average 40% increase in Client Lifetime Value. After 30-day free trial, if you want to continue using Mailigen. Don’t forget to try these Mailigen coupon codes and save addition money.